This is it! 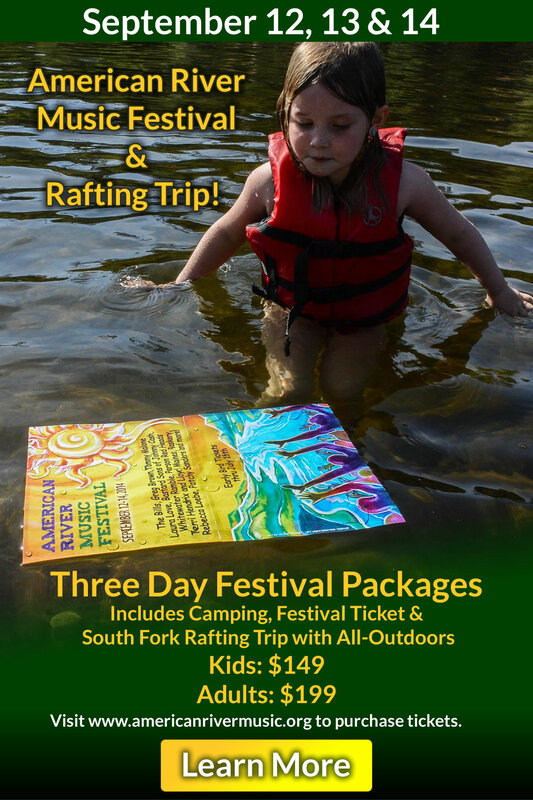 Your last chance to get tickets for the 2014 American River Music Festival and river trip is here! How many times we gotta tell ya? It’s an amazing deal: over 30 bands, camping, shuttles to all the venues, and of course a river trip on the upper section of the South Fork American with yours truly, AO Rafting. All this for only $199, $149 for the kiddos! Purchase tickets online and see the full line-up of musicians (performers include Greg Brown, Whitewater Ramble, Tommy Malone of the Subdudes, and Lauren Murphy) on the Festival website. The whole shebang starts Friday September 12th, and runs through Sunday the 14th.